I go to a lot of these LivingSocial 918 F Street events, and when I do, I end up passing by a few restaurants. District of Pi was one of those places. After going to the course on Tiki Mixology with Jon Arroyo on Tuesday, I stopped in with a couple of people I met at the class. Immediately our olfactory senses were bombarded with the mouth-watering smells of Pi’s main dish – pizza. 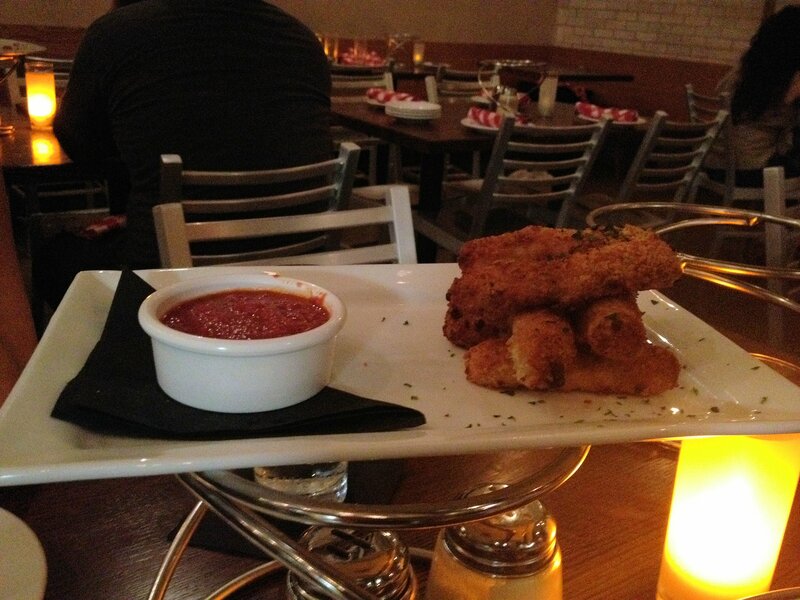 We jumped right in with an order of the Pi Bites (prosciutto and cheese sticks). Cheese sticks are a guilty pleasure of mine, and these ones were tasty with the addition of the prosciutto (plus it was a small starter so I felt less bad about ordering them). What I really wasn’t expecting was District of Pi’s creative cocktail menu. 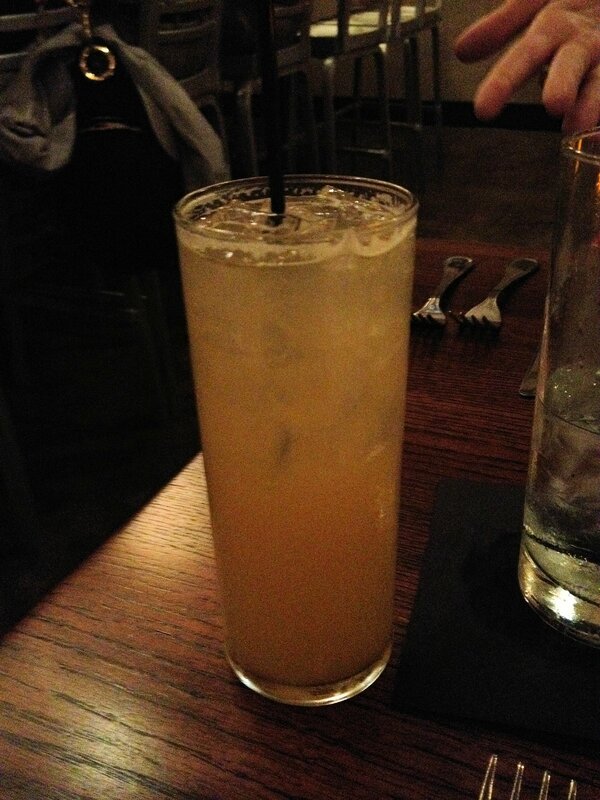 As an example, I ordered the Papyrus, which consisted of lavender-infused tequila, Drambuie, orange, and Allagash Belgian-Style White…really tasty and complex beer cocktail. The pizza was really good. I ordered a small 9″ (large is 12″) deep-dish pizza called the Kirkwood, which included mozzarella, italian pork and beef meatballs, red peppers, and basil. 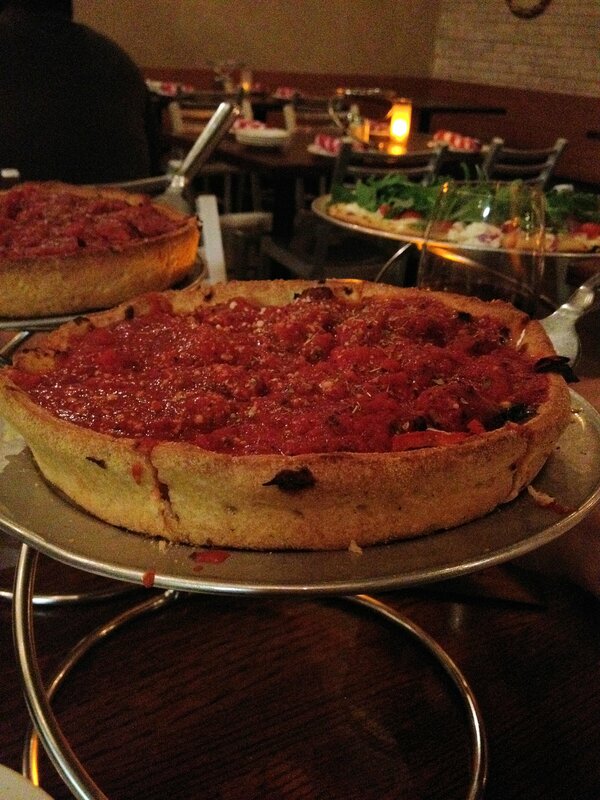 District of Pi’s deep-dish pizzas are made with the cheese on the bottom, the rest of the ingredients, then the chunky tomato sauce on the top. Our server, Stephen, said the Kirkwood was his favorite, and it did not disappoint. My Kirkwood pizza. Thanks Stephen! There is a thin-crust pizza above and to the left for comparison. District of Pi also has a ton of other ingredients you can add to your pizza, which you can find here. I’ve also seen a District of Pi food truck driving around for the lunch crowds. You can find the food truck menu here. I’ve been negligent in hitting District pizza places, and I’ve heard great things about several of them (see here, here, and here for a few “best of” lists). I’ll post about other ones as I hit them.